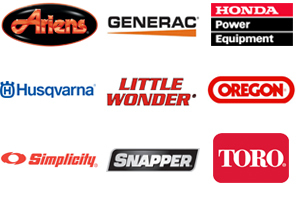 Mowers at Jacks has power equipment accessories for popular brands including Ariens, Generac, Honda, Husqvarna, Snapper, Simplicity, and Toro. Find the lawn mower accessories, chainsaw accessories, generator accessories, or any other accessory you need for your power equipment. Mowers at Jacks has lawn mower, riding mower, and zero turn accessories. From grass baggers to mulching kits, and replacement mower blades, we have the accessories you need to better equip your mowers. 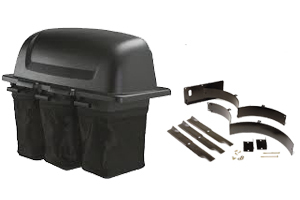 We carry mower accessories for Ariens, Gravely, Honda, Husqvarna, Simplicity, Snapper, and Toro. 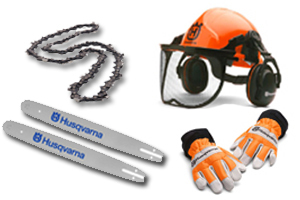 Need some safety gear or a replacement bar and chain for your chainsaw? Mowers at Jacks has several chainsaw accessories for you to choose from. Keeping a sharp chain on your saw will make it much more efficient and easier to cut with. And don't forget about wearing safety glasses to keep wood chips out of your eyes. Do you have everything you need to set up your generator before a storm? If not, we have several generator accessories to get your generator hooked up. We can supply you with power cords, locking plugs, generator covers, and even transfer switches. However, a qualified electrician should install your transfer switch for you. 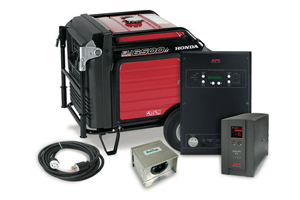 We have accessories for Honda and Generac generators.